On November 3, 2017 I spoke to the Associated Colleges of Illinois about using LinkedIn and other social media to reach out to potential students. I went to LinkedIn and compiled into one document the items that are associated with creating and using a University page on LinkedIn. If you want to download it click this link – University Pages on LinkedIn. One of the things I noticed as I was researching all of this is the fact that they differentiate Company pages from University pages for the alumni aspect of the pages. While many businesses have alumni, not all of them will talk up the positive aspects of that business as they may not have parted company in a good way. 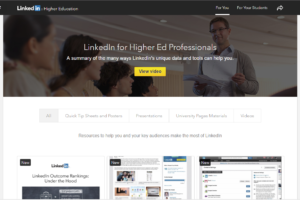 LinkedIn has a whole section of videos and resources for higher education professionals. Take a look at them here. I watched the videos and hope to be able to share more information on the differences to other learning institutions who might have alumni like high schools or prep schools. Whatever I can help you with for your social media needs, I am all ears. 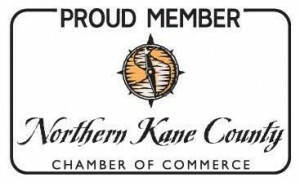 Give me a call or send an email so that we can communicate about your social communication desires!! Remember I can help you design, build or remodel your overall social marketing plan.